AGRORGANIC® MIX is unique combination of all the macro and micro nutrients required for the growth and development of the plant. Application of AGRORGANIC® Mix results in higher yield and improved quality. 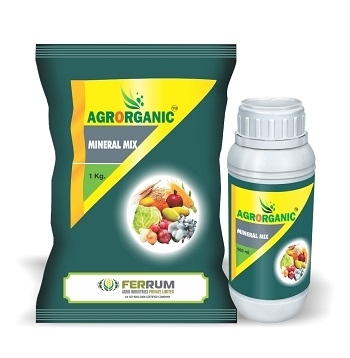 AGRORGANIC® Mix is easily absorbed by the plants and it increases the size of the fruits and reduces flower/fruit drop thus increasing the yield. Liquid formulation is available in 250ml, 500 ml, and 1000 ml packing. Granular formulation is available in 10 kg bags.